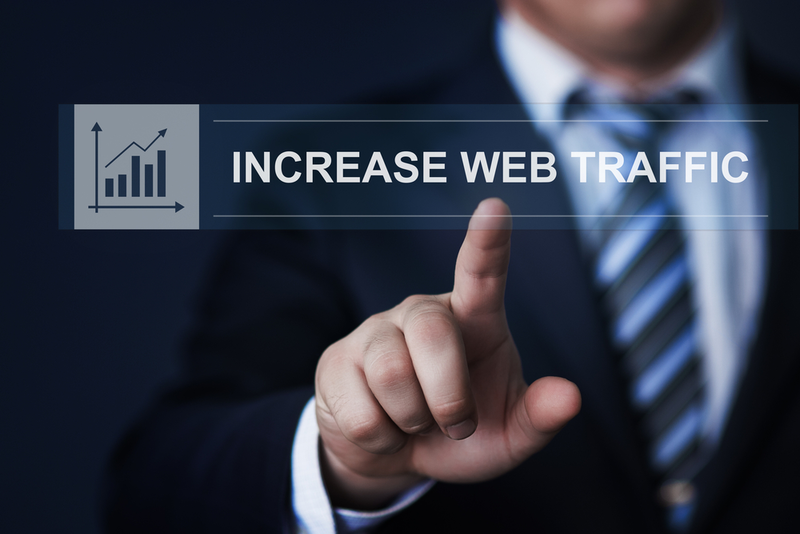 How To BOOST Traffic On Your Website! HomeSEOHow To BOOST Traffic On Your Website! How To Get Traffic To Your Website: Several methods and techniques that bring 90% organic traffic to a newly created site. The key to online marketing is how to generate site traffic. This means you need to bring as many visitors as possible to your site's content. The online marketing strategy must be thought to convince as many visitors as possible to visit the site to Get Traffic To Your Website. Find a niche, set up a target audience to address. Nothing will only increase your chances of having quality traffic on the site and be different from others. Invest in high-quality hosting without coding or slow uploading of web pages. Create a database with the main key keywords that define the niche, the long tail, whatever is adjacent and relevant to your niche tertiary that can use you to expand niche in time. Schedule and set up a clear posting system on the site and do not deviate from it. thinks every post as a whole that can bring you links and organic traffic. Be sure to be visible on mobile devices, tablets, smart phones, have a mobile site, content tailored to the screens of these devices, appropriate formatting, special menus, size-reduced, compressed photos, etc. Focus on what is really important and form the SEO headlines, meta descriptions, subheadings, includes the main keywords in these elements, try to be as descriptive, succinct, as flexible as possible. Do not just look at 500-word posts, try to include longer posts, the format of the posts will be different - it includes video posts, link posts, photo posts, interesting galleries, anything that might attract attention and would be interesting for your target audience. Be sure to have an internal structure of logical and well-organized links so that the user experience on the site is as simple and better as possible. Write about something current, try to bring new and quality information to your audience. Creates viral, interactive, interesting, amazing infographics. If you do not want to waste your time doing something cute in a Flash editing program, you can find many online interactive wizard tools that can be posted on a site right after they've been designed. Add as many posts as possible to include YouTube videos relevant to your site's theme. Why YouTube? Because YouTube is a social networking that brings you quality traffic. Search for blogs and sites that are on the same niche and respond to posts, include the address of your new site in comments, try to interact as much as possible with those who visit those websites. Do not forget about Guest blogging, that is, posting interesting articles on other niche sites with high authority that your target audience constantly pursues. You can also invite others to make guest blogging on your site. Use forums to discuss topics related to your niche and include in the signature or end of posts on blogs and references to articles that could help understanding the topic being discussed. Do not make the keywords a wall that you struggle to overcome by writing a great and super optimized SEO. Better 20 "natural" and interesting posts than five full of bad keywords and badly optimized. Instead of trying to persuade others to refer to your site, create content to make people interested in wanting to be able to make a reference to your posts on the new site. Do not be afraid of Google Analytics and try to understand how you can improve the user experience with the tools it offers. You will also see how to optimize your navigation. analyzes the competition carefully and the public. Do not abandon the old content, the posts that appeared more on the site. Try improving, updating, interviewing and asking for references. Identify popular content on your old, outdated niche on other sites and try to make improvements and post it on your new website. A share on all social networks can bring you more traffic than you think. You will be in direct contact with the audience, you will have fans, you will be able to find answers to all your questions about the tastes of the public, what you are looking for, you can do polls, you will always interact with the target audience. All posts on social networks must be targeted and formatted SEO, have keywords included, be succinct and appealing. Do not neglect LinkedIn, one of the strongest social networking social networks, and post regularly there interesting articles because it can bring you quality traffic and can provide you with a permanent communication with other professionals who share the same ideas as you. It uses PPC campaigns via Facebook, which are cheaper to implement and very effective. Facebook can help you better define your target audience by advertising and do some extra money for your website. Start as soon as you finish configuring the site to an Adwords campaign that can quickly bring you constant and relevant traffic. Transform guest posting into your most powerful weapon. Preference for posting quality rather than excessive SEO formatting. Think of a newsletter and include the latest posts, interesting articles like "Tips and tricks", appreciations and the newest activities you are involved in, which may interest your audience. Try making content very easy to share with social links and buttons. Add the site address in signature from email. Develop a community on your site and be constantly at the center of attention. For this you have Facebook Comments or Disqus, both powerful tools that provide easy communication right on your web page. Encourages link exchange with sites with good authority and top page rank. Post the best articles on large aggregate sites such as Reddit. There is a wide range of people here, so defining the exact target audience and finding individuals interested in your niche is easier.